For 13 years, Anil Achari worked as a kitchen hand at a hotel in Lautoka. As the sole bread winner, he had quit his job in 2011 after he realised his salary wasn’t enough to meet his family needs. He turned to selling vegetables as a source of income, a decision he has never regretted. Mr Achari a soft spoken man, his stall is one of the popular ones inside the market. He sells vegetables which he buys from farmers and suppliers on a daily basis. 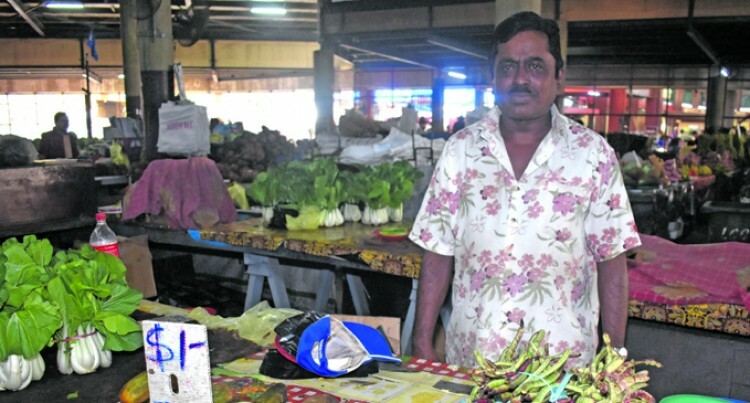 Mr Achari, 44, has been a market vendor at Lautoka Market the last seven years and lives with his family in Rifle Range, Lautoka. “I think this is the best job because there is no one to boss me around and tell me what to do. I am my own boss and at the end of the day I earn enough money to take home,” Mr Achari said. Married with no children, he said the money he earned enabled him to provide for his family expenses which included his wife, mother and brother. In a good week, Mr Achari said he was able to make around $170 profit this is after all the other expenses were deducted. “My suppliers are from Sigatoka Valley and they supply fresh vegeta­bles every morning. In a day I will buy $300 worth of vegetables for my stall and I try to sell varieties of veg­etables,” he added. Mr Achari then went on to share his views on the importance of peo­ple making use of the vegetables available in our local markets. “I’ve seen people flocking to fast food restaurants with their families and they forget the fresh vegetables in their local markets. You can make a delicious vegetarian dish which your family can enjoy.